What is included in our direct cremation fee of $695? In a word: EVERYTHING except government fees, which may not apply equally to everyone. Arrangement conference with responsible party to help the family with deal with any concerns, questions, or other needs. Cremation process for deceased weighing up to 300 pounds. How do you know that you will not be subjected to sales pressure to buy additional services or goods? We are a family owned funeral service that was founded specifically to eliminate predatory practices that have become too prevalent in the funeral industry. While we strive to make a fair living and provide our employees with secure employment, we do not have to answer or shareholders or absentee owners. Here are our owners and some employees who work day and night serving families who trust us to put their interests first. When checking prices on-line, try to discover who owns the business you are checking on. Some on-line “cremation services” are owned by large corporate interests. In spite of a seemingly low “price”, the final cost is typically much higher. If a price is too low to be true, it is too low to be true. It is difficult to maintain our cremation fee of $695 in the face of a weak dollar and rising energy prices but we are determined to hold the line until the economy improves and unemployment subsides. Residents of King County, Washington are required to pay a $70 fee to the Medical Examiner’s office. Other counties have not yet instituted such a fee. Residents of Pierce and Snohomish Counties are not required to pay a Medical Examiners fee, so the total cost for cremation in those counties is just $695, plus death certificates, if required. Death Certificates in Washington State cost $20 each. While they may be obtained at any time from the County Public Health office, most families ask us to get copies for them since our couriers go to the Health Department daily. If additional copies are needed, they may be ordered from the Health Department by mail or while you wait. Check here for instructions from Vital Records in King County, Snohomish County, or Pierce County. Death Certificates are required by the heirs to settle the affairs of the deceased’s estate. Check with one of our funeral directors if you have a question about how many to order, whether an original certified copy is required, or if a photocopy will suffice. We routinely serve families from other states or countries that have a relative die in northwest Washington State. Arrangements can be done by phone and payment may be made by secure credit card or bank wire. Shipment within the United States is performed inexpensively through the U.S. Postal Service. 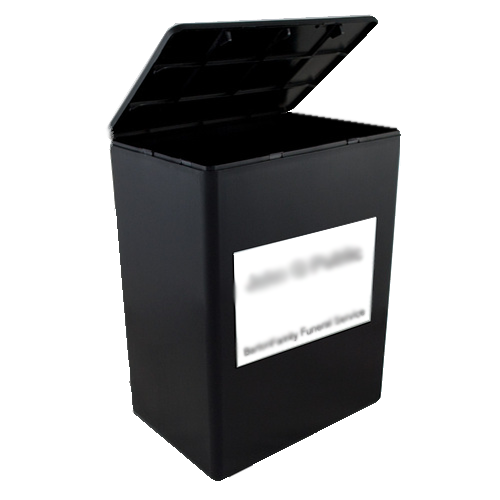 Our fee to ship cremated remains to any destination within the United States is $100. International shipments require special documentation and shipment by air freight. FedEx and UPS do not accept human remains for shipment. Our fee for international documentation is USD 150 and freight fees vary widely depending on the destination. If there is a direct flight from Seattle to the final destination, the air freight charges tend to be moderate. If shipment requires multiple carriers, fees tend to increase greatly because of interline agreements and insurance considerations. Part of our service is to find the lowest cost carrier consistent with low risk and a good reputation. “We understand how painful losing a loved one is, and we respect anyone traveling with crematory remains. Passengers are allowed to carry a crematory container as part of their carry-on luggage, but the container must pass through the X-ray machine. If the container is made of a material that generates an opaque image and prevents the Transportation Security Officer from clearly being able to see what is inside, then the container cannot be allowed through the security checkpoint.